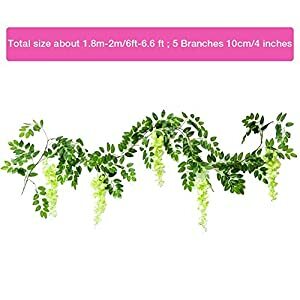 REALISTIC WISTERIA FLOWERS: Artificial flowers that look real, package included 3 pcs artificial wisteria long hanging flowers, each strand 1.8M-2M/6feet-6.6ft. 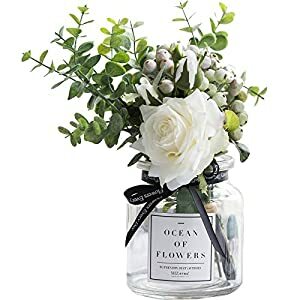 Artificial flowers and plants for wedding decor to hang from arches, very realistic with leaves hanging down to offer extra cover, so beautiful! 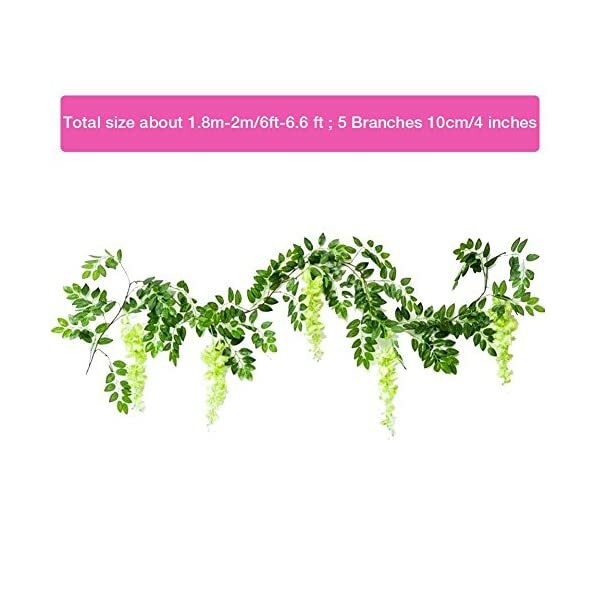 Beautiful and delicate flowers of the wisteria vine have symbolized love, sensuality, sensitivity and tenderness. Hanging vine plant For home, Outside patio or balcony backyard decor: doorways, windows, porch, archways, pergola, trellis, gazebos, handrail, stairway railings and and so on. 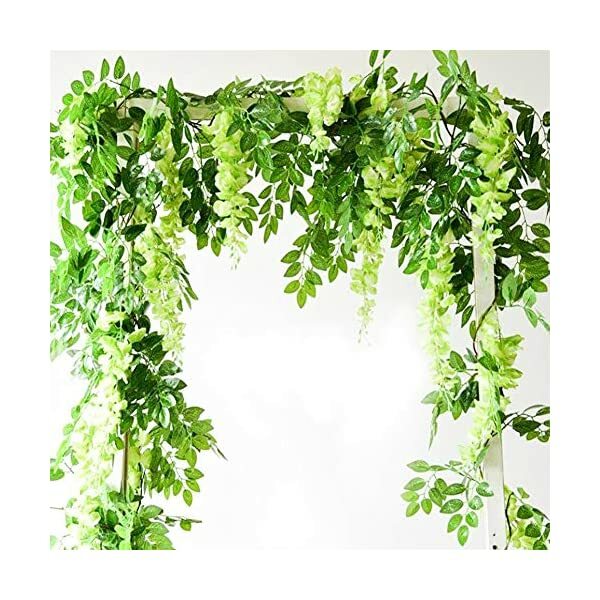 Artificial wisteria vine garland can be utilized for special events such as weddings, reception party, festival, garden and stage decoration. 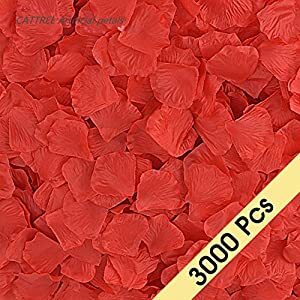 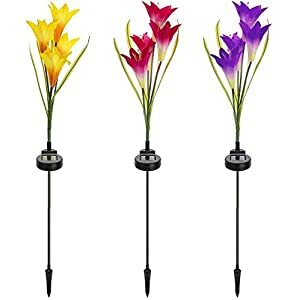 These artificial flowers garlandare sturdy, can be utilized and reused, or simply kept installed in the similar place for months and years. 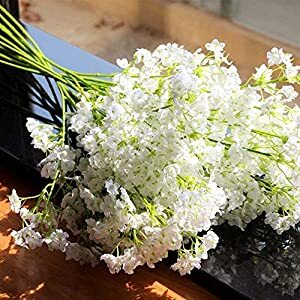 There may well be 1 to 2 inches measurement error. 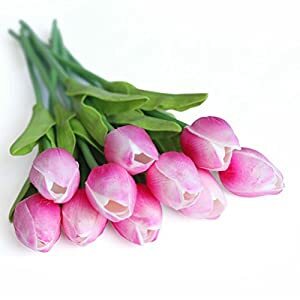 If you might be dissatisfied together with your purchase for any reason, please contact with us for the primary time. 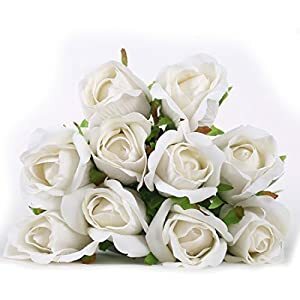 We can reply as quickly as we will. 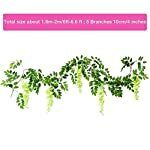 REALISTIC WISTERIA FLOWERS: Artificial flowers that look real, package included 3 pcs artificial wisteria long hanging flowers, every strand 1.8M-2M/6feet-6.6ft. 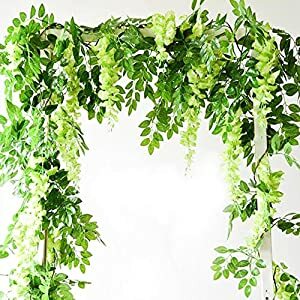 Artificial flowers and plants for wedding decor to hold from arches, very realistic with leaves hanging down to provide extra cover, so beautiful! 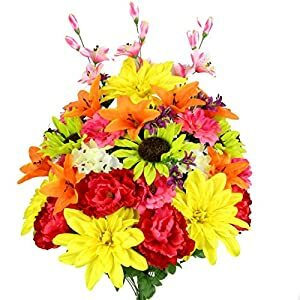 YOU CAN’T MISS THIS: Artificial flowers and plants for wedding decor is symbol of spring and renewed life for any occasion. 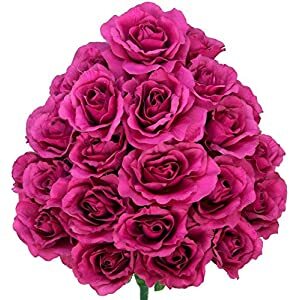 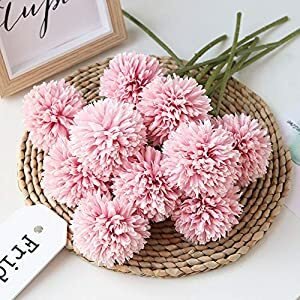 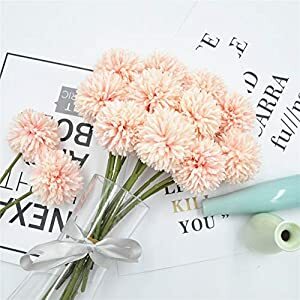 You’ll be able to search artificial flowers purple white pink green, artificial flowers greenery, artificial flowers for outdoors, crafts, decoration, in pots for indoors, vintage, centerpiece, variety pack to search out us.